Since 2003, ABT has delivered high quality renovations on a variety of projects, specializing in kitchens, bathrooms & residential construction. Visit our Material & Design showroom today! Scottsdale General Contractor Best of Houzz 2014-2019! Intents Construction is Arizona's Premier General Contractor. While other General Contractors may focus solely on large projects, we give the same attention to every project. Established in 2004 by Ed R. Baney, The Remodeling Firm, LLC is a family owned and operated, full service company specializing in Kitchens & Baths. We take great pride in working closely with our clients to determine their wants and needs, while guiding them through the process of a successful remodel. We begin our process by determining what our clients don’t like about their homes and offer ideas and suggestions to help give them a vision of the possibilities. We discuss lifestyle, theme, budgeting and quality of materials. 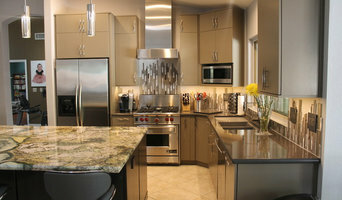 We offer several lines of cabinetry to meet all price points, as well as design services. Our clients appreciate our attention to detail as well as the ability to coordinate the project so there’s as little disruption as possible for the homeowner. This has given us the reputation as “The Contractor People Trust”. Whether you are looking for a simple fix-it job or complete turnkey services, The Remodeling Firm, LLC has the experience and expertise to meet your needs. You can be rest assured that your project will be worked on by skilled and certified employees. From the first blueprint to the final coat of paint, The Remodeling Firm, LLC is dedicated to providing traditional work ethics while being proactive in finding solutions for our clients to best achieve their goals. Lasting relationships are the lifeblood of our business. Visit our showroom at: 8230 E. Raintree, Suite #110 (inside Jetta Bath and Kitchens) Scottsdale, AZ 85260 We offer custom and semi custom cabinetry products, and full design services, at prices that frequently beat Home Depot and Lowe's. We are excited and eager at Flooring America of Chandler to get to know you and help you with all of your floor covering, bathroom remodel, closet organizer & custom cabinetry needs. We offer free in-home consultations and are very experienced in design. We can help you design your home the way you've always dreamed. We look forward to meeting you. Please stop by our 8,400 square foot showroom and see all the flooring possibilities. Flooring America of Chandler is more than just a flooring specialty store. We are experts trained in flooring sales and design and will help you find the perfect floor for the way you live. As part of America's leading flooring retail group, our 500-store nationwide buying power guarantees you low prices on thousands of carpet types and other flooring options backed by the most solid warranties in the floor covering industry, including our Lifetime Installation Warranty. FREE Design Consultation $500 Value! 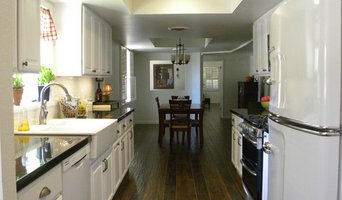 Scottsdale's Custom General Contractors. Best of Houzz 2016. Custom Creative Marble & Granite is a locally owned and operated General Contractor and Home Remodeling business in Scottsdale that specializes in custom kitchen and bathroom remodeling. Friedman & Shields, a nationally celebrated interior design firm, specializes in remodeling and furnishing luxury homes for their clients. Traci Shields, with 30 years of interior design experience, Traci takes a holistic approach to each project, overseeing all the details so that every element, inside and out, is consistent with the overall design theme. Her attention to detail and demand for excellence makes her one of the most sought after interior designers in the industry. Traci’s unique ability to visualize and interpret her clients needs and individual style is reflected in each diverse project. She creates sophisticated yet livable interiors providing quality, function and comfort. See why we were awarded Best of Houzz Design & Service 2019! We are Award Winning Designers, NCIDQ certified & ASID professional members and General Contractor's ROC 29365 & ROC 254959. Handyman Property Services consists of an experienced gentleman with over 30 years expertise in remodeling, design, building, and development. Oketo Construction is a full-service residential and commercial general contracting firm specializing in luxury residential remodeling suited to the unique requirements of each client. Arte de Casas Design group is a complete curb to curb design and construction of fine homes, pools, spas, landscapes and lightscapes. Contact us for your next project! Caine & Company is a design- build firm in Scottsdale, Arizona. Our firm is focused on delivering high quality remodels and custom homes through attention to detail, focused customer service and new and innovative ideas. We will renovate your small or large project to be a stylish and functional space to suit your needs and budget. Licensed, Bonded, Insured. NARI and NKBA member and A+ member of Better Business Bureau. We are a locally owned company that values honesty, integrity & treats your home as if it were our own. We pride ourselves on the quality of our work as well as our commitment to outstanding results. Our customer service is second to none in the business. We always make sure to go the extra mile for each of our clients no matter the size of the project. Fratantoni Luxury Estates is the preeminent Design-Build Firm of Luxury Homes in Arizona. Acclaimed for their opportuneness of being a Full-Service Firm with an in-house team of highly skilled Architects, Builder, and Interior Designers. Fratantoni Luxury Estates has designed and built an appreciable amount of high-end homes in the most prestigious areas throughout the state. One of the main reasons our clients choose us to remodel their home is because we are a full-service Design-Build firm. We exercise total quality control over the entire remodeling project which puts our client’s minds at ease knowing their home is in excellent hands. Do you have a vision in mind? We will turn that vision into a reality! Building Lifetime Estates for distinguished clientele is what keeps their creativity diverse and cutting edge! Discover for yourself the mastery that is Fratantoni Luxury Estates. Regardless of the size of your project, our experienced design team is committed to providing you with a personalized service that makes your dream our top priority from start to finish. We believe everyone deserves a home they love. Unless your house was built to your specifications, chances are there’s something that you’d like to change. Let us help bring your dream to life. Sunset Tile and Bath located in Phoenix, Arizona offers a variety of quality services to help make your bathroom or kitchen renovation sparkle! Fitch Hill is a husband and wife team started in 2016 by Molly and Chris Loughney expanding outside of investment home remodels and dedicated to turning houses into homes for families. We’re a full service design and development team, taking care of everything from the initial home purchase, design plan, and the construction process to completion. As two homebodies, we truly believe in the feeling of home. The houses we work on are more than structures, they are the spaces where lives happen and memories big and small are made. Working with our clients to understand their needs and implement their design wishes into a home is not our business it’s our passion. If you are interested in working with us and want to know more about the design process and how we work, we are happy to set up a free consultation meeting were we can gather the proper information and answer questions about scope of work, budget, or timelines. We appreciate your interest in our work! We bring to each client project our team of professionals to complete all phases of work. It is through everyone's contribution to each project that we bring our client's vision to life. Skylar Parker Construction & Development Inc. Residential and Commercial General Contractor A good general contractor can take over your handyman job or renovation project and can give you a better final product than you'd likely get if you tried to handle the endeavor yourself. At Award Winning Skylar Parker Construction & Development Inc. for Residential & Commercial General Contracting, we do our best to put our 10 years of combined experience to work on behalf of the residents of Phoenix, AZ. Our skilled contractors which we employ are up to the task for all aspects of your project Including: Commercial and home construction Home remodeling and contracting Deck design and construction Garage construction Since we're fully licensed, bonded, and insured, you won't have to worry about being found liable for any damages we might incur while improving your premises. At Skylar Parker Construction & Development, we're proud that we have an A rating with the BBB since 2015. If you live in Greater Phoenix and need a general contractor to work on your property, get in touch with us today so we can begin the process of revitalizing your home or business. We specialize in hardwood flooring, engineered hardwood, cork and laminate flooring sales & installation. We are a veteran-owned and family operated business. We are licensed, bonded and insured. Fitch Hill gives clients the opportunity to utilize our full range of expertise. We work with you throughout all project phases; from finding your ideal property to building the home of your dreams.